The paper making process uses large quantities of water for various processes - ranging from pulping to water finishes. Many of these processes result in a wastewater stream containing corrosive chemicals, solids, abrasive debris and oils. 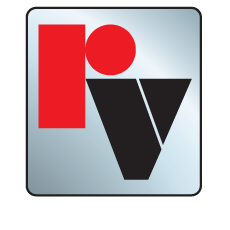 Red Valve has a long history of working with industrial wastewater and provides several products used on paper mill wastewater. Red Valve Air Operated, Manual, and Control Pinch Valves are commonly found on pulp and paper wastewater lines because of their full-port opening and rugged, but flexible, rubber sleeve that eliminates contact between the metal valve body and potentially corrosive chemicals in the wastewater. 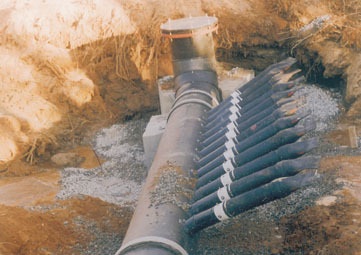 Redflex Expansion Joints are also ideally suited for corrosive wastewater and come in a variety of options such as wide arches, multiple arches and custom configurations. Likewise, Red Valve Pressure Sensors are non-clogging, and isolate and protect costly instrumentation. Tideflex Check Valves and Effluent Diffusers are the preferred choice for backflow prevention of the final effluent discharge.